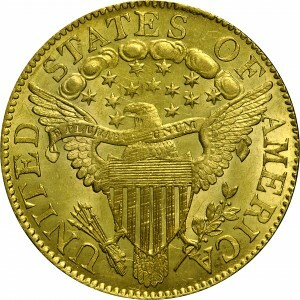 This final 1805 half eagle among Bass Collection coins matches Breen’s description for his variety 1-A. 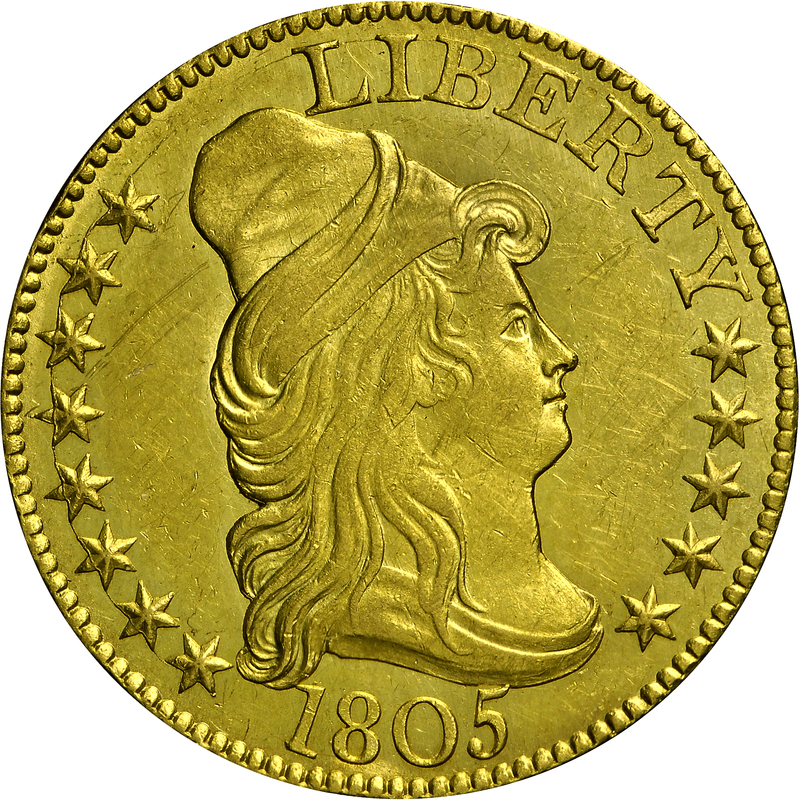 This is the only obverse with the lower left star almost touching the hair curl. Previously, it was believed that this was his obverse 4, however, the description for the latter obverse die calls for a perfectly formed digit 1 in the date. 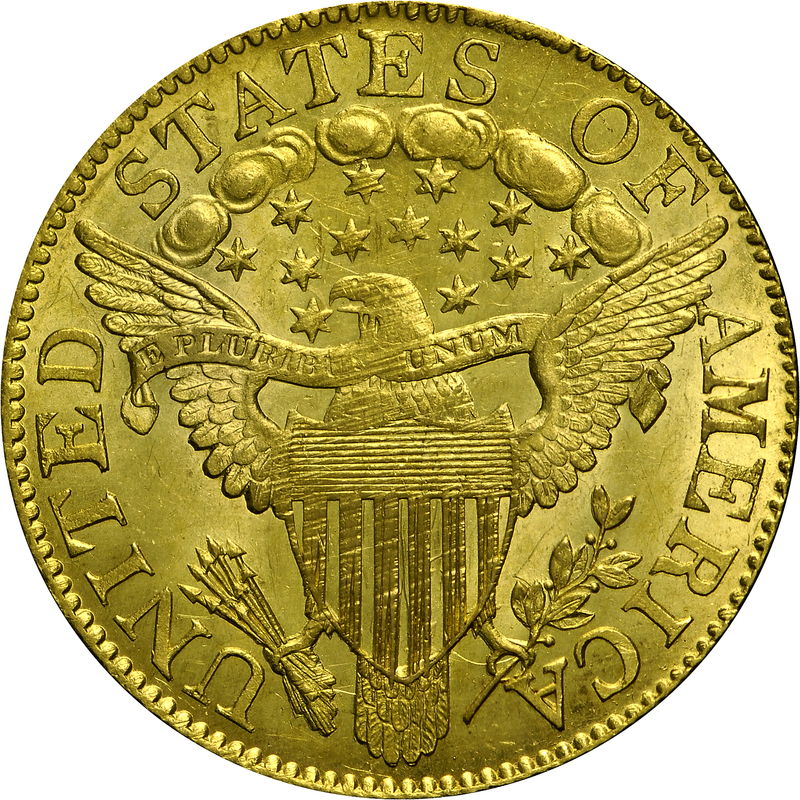 He described his obverse 4 from an example in the Norweb Collection; yet the only 1805 half eagle in that collection was clearly variety 3-D. The actual emission sequence is HBCC-3093, 3092, 3091, 3090, and 3094. Purchased from A-Mark Coin Co., March 16, 1978. "Obverse: Wide Date. Star cracks. Reverse: Six denticles gone. Lapped."